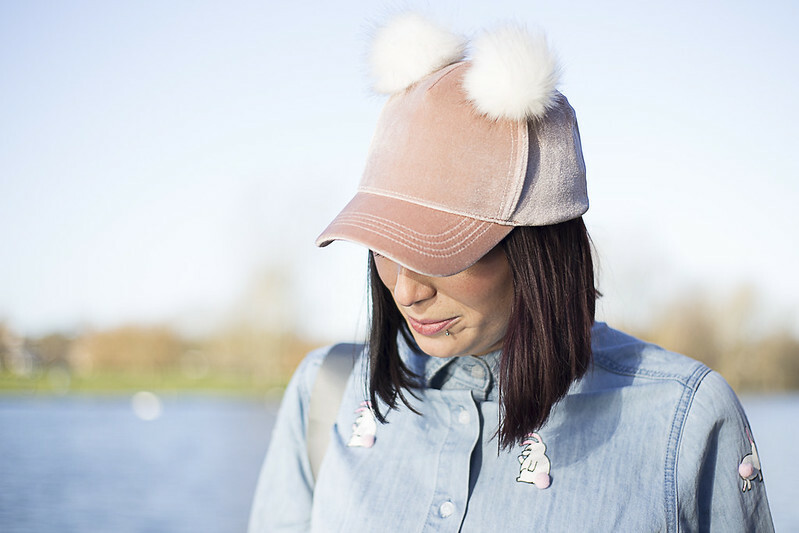 Who wouldn't want to wear a denim shirt covered in cute bunnies with pom poms for tails, or a velvet hat with two pom pom ears. Think I might be going a bit pom pom crazy here but who cares. This outfit makes me happy and makes me realise how happy I am with my style at the moment. 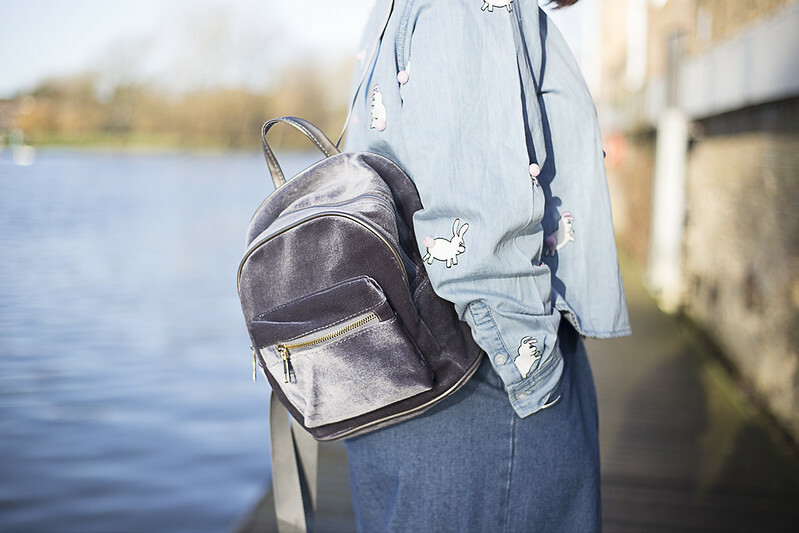 I have always been someone who wears slightly more quirky items, but since starting this blog the confidence in wearing what I want without giving a crap what people think has just grown and grown. I think working in London has also helped with this as London style is just like a walking mood board for me. 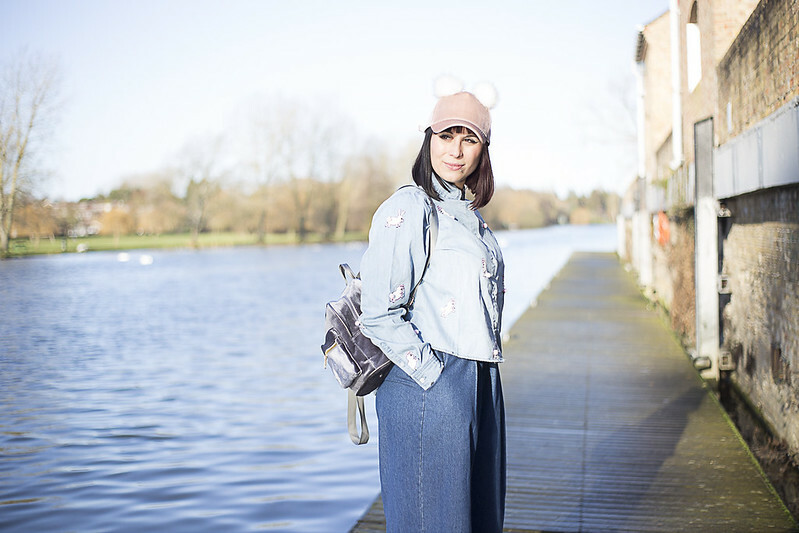 My favourite part about this outfit is as I was walking home from meeting Sophie Kate for brunch, (who took these beautiful photos for me, check her blog out here) a little old lady ran up to me and said "oh my, I love your hat". This made me smile. You ALWAYS look so effortlessly cool!!! Urrrrrr so do you, you have that whole grunge coolniss going on. This cap looks so adorable !